New Class Added: Get Your Socks On! 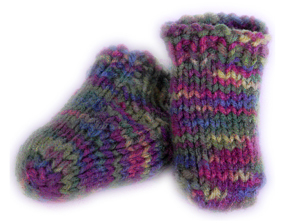 Master Knitter Jennifer Adair will show us how to make socks, starting with an adorable pair of baby booties; yarn is included in class fee. For details on this and other classes, click here. This entry was posted in classes, Kingston Springs and tagged Kingston Springs, knitting, knitting classes, yarn, yarn shop. Bookmark the permalink. 1 Response to New Class Added: Get Your Socks On! would love to take any beginners class knitting or crochet if ever offered in the evenings.